The pictures below are just to give you some colour ideas. You will see some of my strings and string colour combinations. These are custom Flemish strings because they are made to your specifications. You control colours of string material, colour of serving as well as the colour of the cat whiskers if you want them on your string. You can also specify how long the serving will be as well as the string material type. These are custom Flemish strings made for recurve crossbows not for compound crossbows. If you want to see a combination of string colours let me know. I will gladly start one and either post or email a picture of it to you. 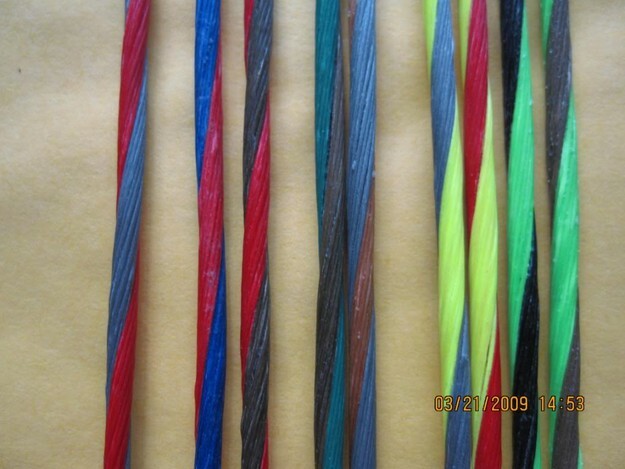 Xcel String Colors for the Matrix and older mag tipped bows. note: I may substitute colours (ie: green for green) according to supply. Cat Whisker choices. Please ignore the serving. I now only use 0.036" Angel Majesty which only comes in black. When you are choosing colours do not be afraid of a deer seeing your string because the limbs of your bow will obscure the string from the deer's eyes. Really, the sky is the limit for colour combinations. OD green will probably be dropped in the future because it is pretty close to black. 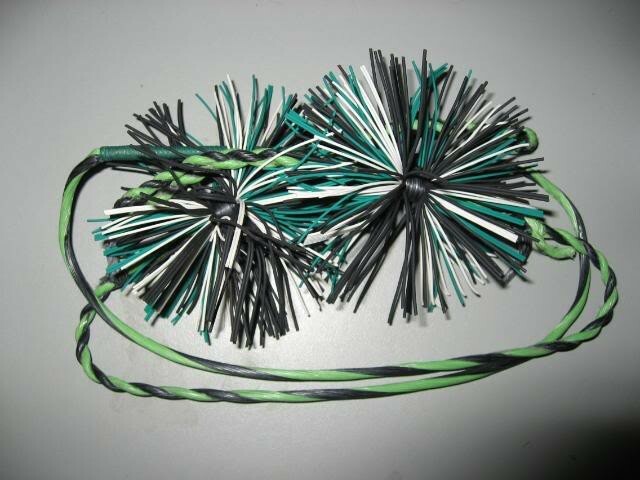 In fact when a string is made with OD green and black or brown you can barely tell the difference between the two colors.